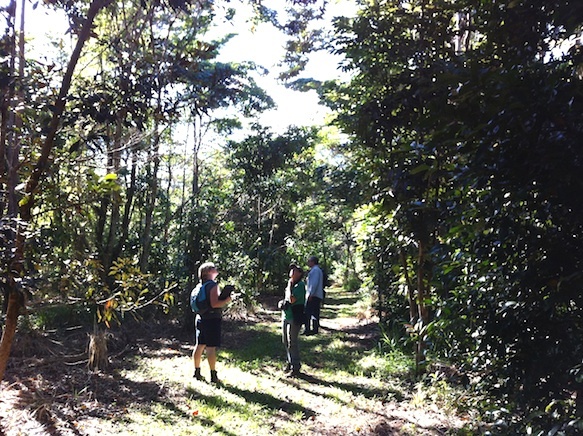 The objectives of the bird monitoring is to measure general patterns of use of the revegetation corridors by rainforest birds over the years. 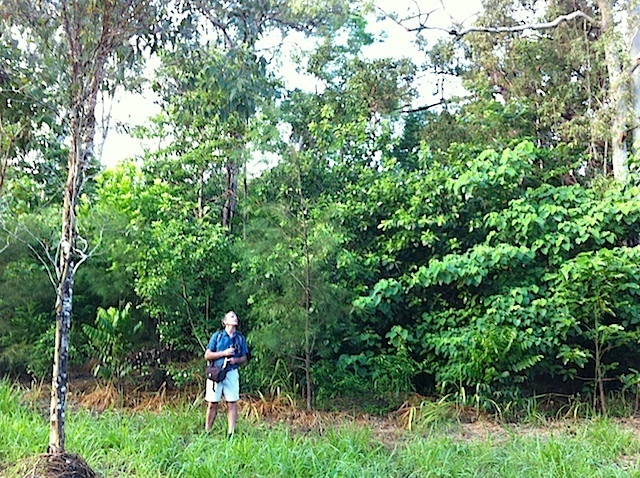 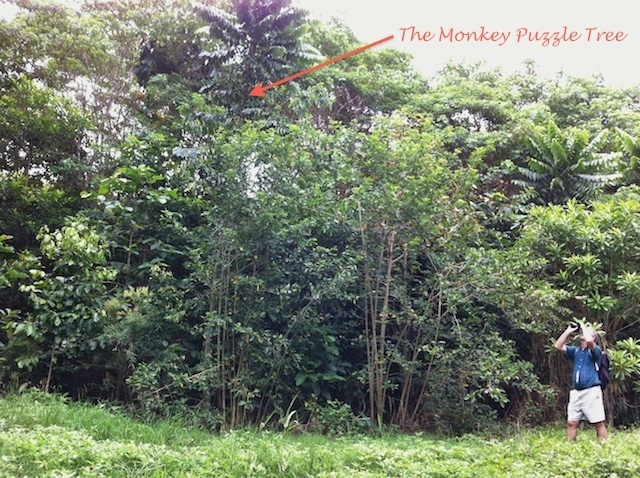 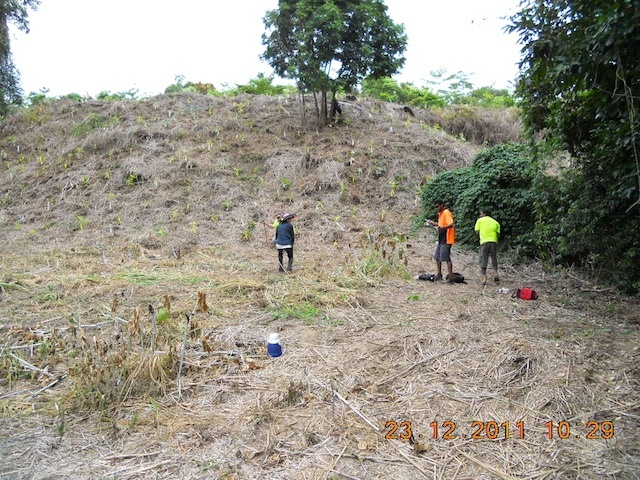 This is done in order to better understand the habitat needs of rainforest specialists or "dependents" to enable adaptation of future restoration [click here to read the living document "Trends in Rainforest Bird Colonisation of Kuranda EnviroCare's Restoration Planting Along the Barron River"]. 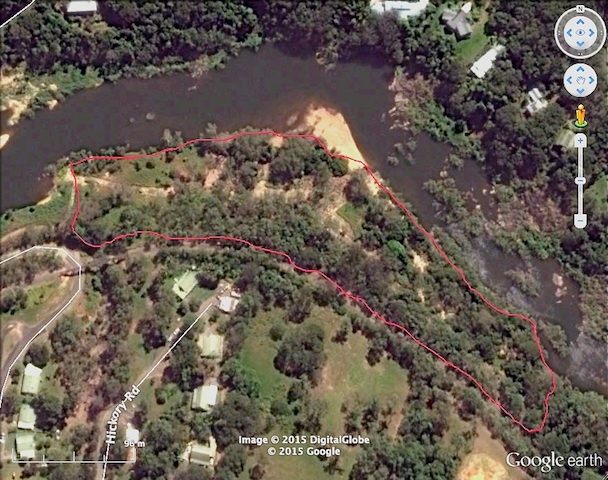 This map shows all the bird monitoring sites along the Barron River with the exception of a reference site that is about 1500m upstream and outside this map. 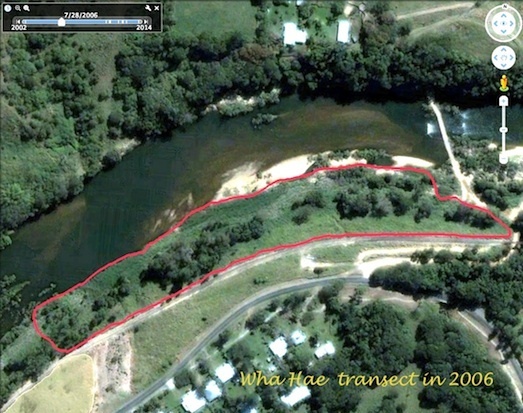 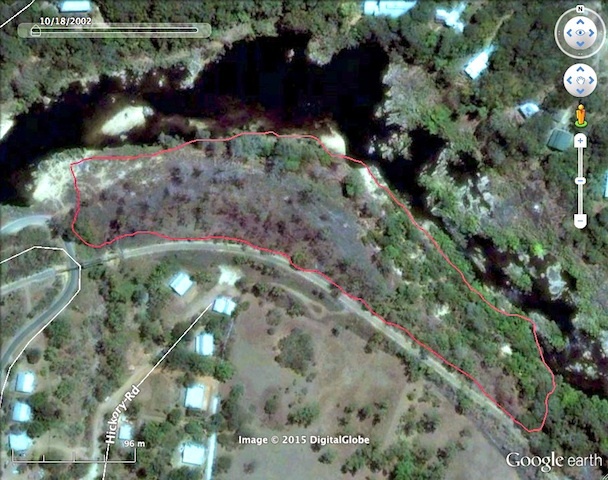 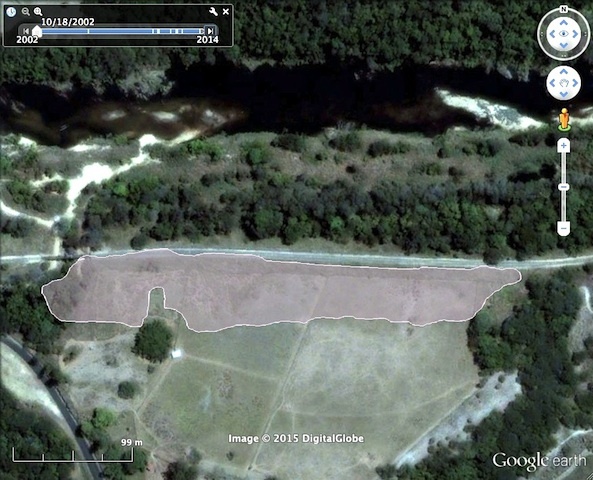 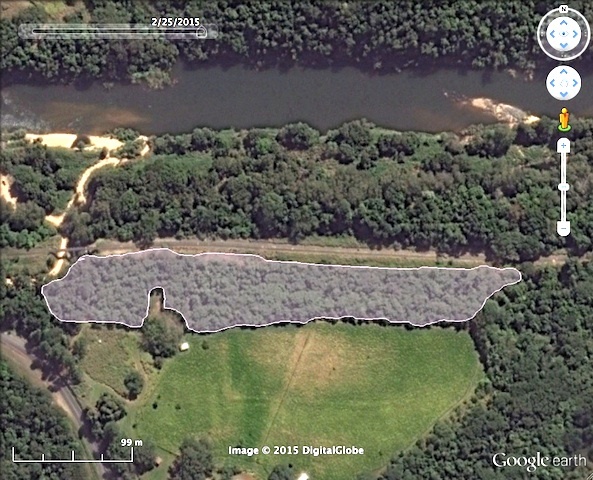 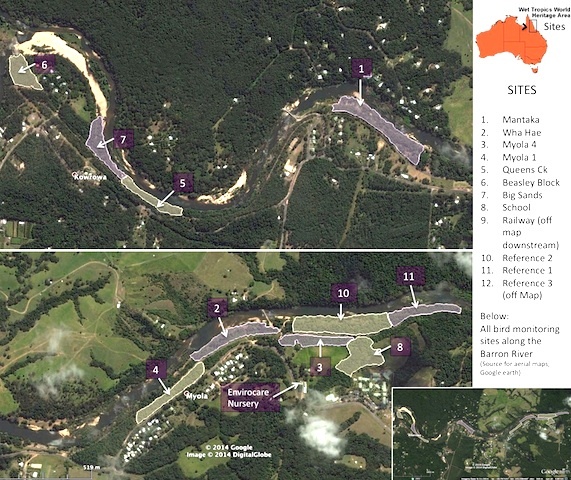 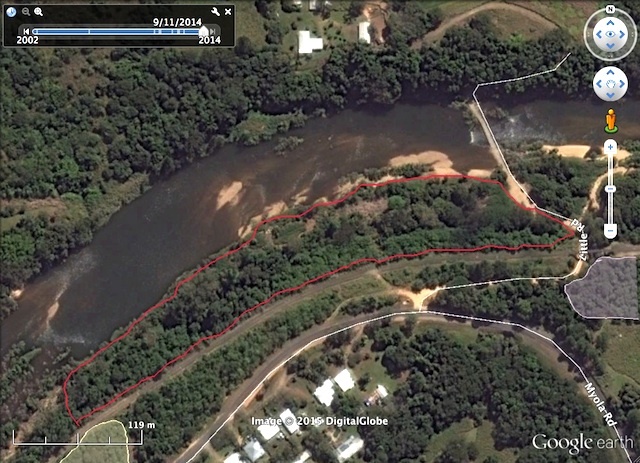 As illustrated, each site varies in size and shape although 400m is the ideal length along the Barron River. 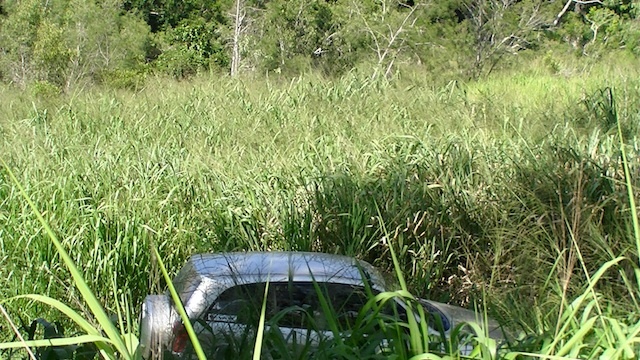 Site 1 Mantaka Guinea Grass growth with Toyota RAV 4 (for scale).